« New Hope for Madagascar? Members of the Texas State Parks and Wildlife Commission had a rare opportunity in January to commit an act of political courage. If they’d done it, hundreds of native Texans—and the creatures living around them—might have been spared a needlessly horrifying death this week. 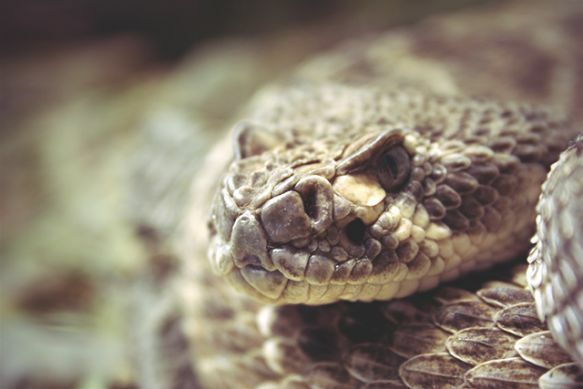 A vote originally scheduled for the commission’s January meeting would have ended the practice of spraying gas fumes into cracks and crevices in the ground to drive rattlesnakes out of their dens. The groggy victims get tossed into bags and delivered to a rattlesnake roundup in Sweetwater, a town of 10,600 about three hours west of Fort Worth, which has made itself notorious with this practice. Because of the non-vote, the roundup will take place this Saturday and Sunday as usual. Gassing also threatens other karst wildlife. Studies have found “dramatic and obvious” effects, from “short-term impairment to death” in snakes, lizards, toads, and other vertebrates living in and around rattlesnake denning sites. The gassing also kills many karst invertebrates listed as endangered or threatened by the U.S. Fish and Wildlife Service, among them the Comal Springs riffle beetle, the Bone Cave harvestman, and the Government Canyon Bat Cave spider. In the face of overwhelming support from around the state, the Parks and Wildlife Commission decided to delay the vote. “I view it as total cowardice,” one local conservationist remarked. The commissioners, who are unsalaried and serve at the pleasure of the governor, delayed the vote, the conservationist theorized, because “no one will do anything if it is going to upset anyone, anywhere,” or at least not anywhere in Texas. The commissioners may have wanted to avoid controversy ahead of this week’s state legislative primaries. They may particularly have wanted to avoid raising a sensitive issue for Rep. Susan King, R-Abilene, who represents Sweetwater. King was the only person allowed to make a statement at the meeting at which the commission had been scheduled to vote on the gassing ban, and she delivered a rambling, disjointed, Sarah Palin–esque argument for doing nothing. Among other things, King recalled her horror as a barefoot child seeing the grass move around her family home in Houston. “There was no wind. It was the toads,” she said, meaning Houston toads, now an endangered species. She said she was glad to see them gone (“I guess it was the pesticides, I don’t know”). Otherwise, she was all for coexisting with animals. She avoided the word “gassing” but said that “the fuming to encourage snakes to leave their habitat” has been going on for years. Any attempt to change that, she said, required complete transparency by regulatory agencies and scientific research in the field. Awkwardly for King and her ilk, field studies dating back to 1970 have already demonstrated the destructive effects of snake gassing in Texas. On the question of transparency, King’s own track record includes a fail on “the political courage test,” a simple informational measure of candidates’ “willingness to provide citizens with their positions on key issues.” Even so, King won Tuesday’s primary with 67.5 percent of the vote (down from 100 percent in 2012). That presumably clears the way for a vote on the gassing ban, now thought to be on the agenda for the commission’s May meeting in Austin. That will be the real “political courage test,” and there is reason to hope: The commissioners include S. Reed Morian, a member of the board of the Houston Natural History Museum; T. Dan Friedkin, a member of the advisory board of Texas A&M Caesar Kleberg Wildlife Research Institute; and Lee Marshall Bass, a billionaire supporter of the Peregrine Fund and the International Rhino Foundation. It’s a good bet that Rep. King will be glad-handing the crowd at Sweetwater. You can count that as one more reason to head for Round Rock. This entry was posted on March 6, 2014 at 6:18 pm	and is filed under Environmental Issues. Tagged: gassing, rattlesnakes, Texas. You can follow any responses to this entry through the RSS 2.0 feed. You can leave a response, or trackback from your own site.